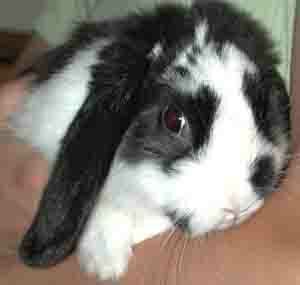 Having a pet rabbit has been popular the United States and Europe (3rd most popular pet in the UK) for the last several decades. Many people are drawn to rabbits because they are small, quiet, and cute. Some people assume that because rabbits are small in size they do not require care that is as intense as a dog or cat. Although rabbits can be very rewarding as pets, they do require some special care and are not a good choice for every household. Rabbits are popular household pets for many reasons. Anyone can plainly see that they are cute, but they are also quite smart and engaging compared to some of the other small mammal pets, like guinea pigs. Like other types of pets, rabbits come with a variety of personalities. Rabbits can and do come to know their owners, and may even show them affection. Some rabbits will be playful with their owners, but some will remain more reserved and prefer quiet time to themselves. 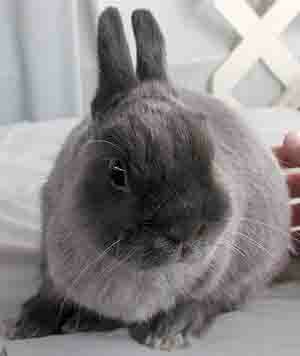 Rabbits are very trainable, and can be taught to come when they are called. They can even be trained to use a litter box like a cat. Rabbits are also very quiet, which comes as a huge plus for those who live in apartments or just value a quiet household. It’s easy to see why so many people consider rabbits as household pets, but before you run out and adopt one, it’s important that first understand the type of environment and extent of care that a pet rabbit will require. Rabbits are most active at dawn and dusk. During the day they tend to sleep. They are called Lagomorphs, which is a type of rabbit that is similar, but not the same as the rodent. Pet hares are actually different than rabbits. Rabbits are born with no hair and closed eyes, while hares are born with hair and open eyes. If you have children under age 7, a small rabbit pet might not be right for your family. Small rabbits have to be handled with care or can be injured. Rabbits also get stressed easily, so any fast or sudden moves by a child could injure the pet rabbit. Instead, choose a large rabbit breed. When holding a rabbit, an owner needs to support the back legs, front legs and back. Never startle or fighten a rabbit. Rabbit life expectancy is based on the breed you select. On average, rabbits live for 5 years, but can live to 15 years. Another guideline is that larger rabbits live longer than dwarf rabbits. Prime rabbit breeding age is age 3 to 4 years. 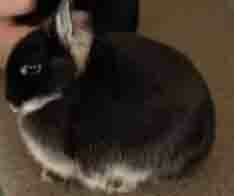 Like other pets, rabbits can be purchased from a breeder. To find a reputable breeder visit the American Rabbit Breeders Association (ARBA). In the United States the ARBA recognizes 45 rabbit breeds. Often when people picture a pet rabbit, they envision a small wire cage with a happy little bunny inside of it. Most people do not realize that small cages are not appropriate housing for a rabbit. Think about the rabbits that you see in your yard. When they are not eating, they are hopping about and darting back and forth. Rabbits require room to run around and a rabbit that is cooped up in a cage will not be a happy one. Most rabbit owners train their rabbit to use a litter box and actually allow their rabbits the run of the house under supervision and gate off a room or several rooms for the rabbit to live in. The rooms that are dedicated to the rabbit must be rabbit-proofed as well. Rabbits will chew on almost anything they can, including electrical wires and wooden furniture, so it’s important to remove these things from the rabbit’s area. The height has to at least be as tall as the rabbit standing on the back or hind legs. Rabbits need an area for privacy or to hide. They also enjoy rabbit toys. Rabbits also require a special diet, with a constant supply of quality grass hay, such as timothy hay. Most rabbit owners will also supply a pelleted rabbit food, available at major pet stores, and a daily supply of fresh leafy greens, such as kale and romaine lettuce. 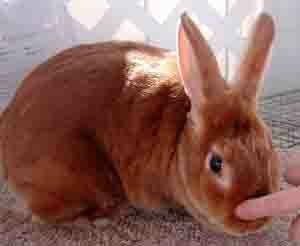 Lastly, rabbits require regular veterinary care. A pet rabbit should see a veterinarian at least once per year for a physical examination. Rabbits that are spayed and neutered can live a longer life. Many will also require trimming of their teeth. Chew toys can help to keep the teeth from over growing. You should choose a veterinarian who has a special interest in rabbit medicine, as many veterinarians do not routinely see rabbits. In the U.S. rabbits do not require vaccinations.